Home Vodka Is Air Alcohol Water the New Vodka Soda? Despite all the amazing cocktails to emerge from the recent cocktail revolution, the proverbial vodka soda still continues to be one of the most popular drinks in bars and night clubs (runners-up would be Jack and Coke or Rum and Coke). 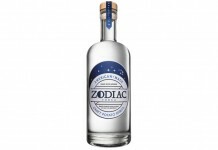 This quick and easy drink has helped make the vodka category literally explode with volumes of sales that downright eclipse other spirit categories. 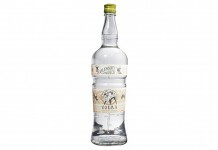 The big question is, of course, is the love affair with the vodka soda tied to vodka as a spirit? Brands like Grey Goose and Ketel One have done an exceptional job of imbuing their fairly neutral spirits with brand personality and identity, but what if there were other, easier options available for drinkers to get their booze in the same fairly tasteless and effervescent way? Enter Air, Alcohol Inspired Refresher, an interesting take on the vodka soda. 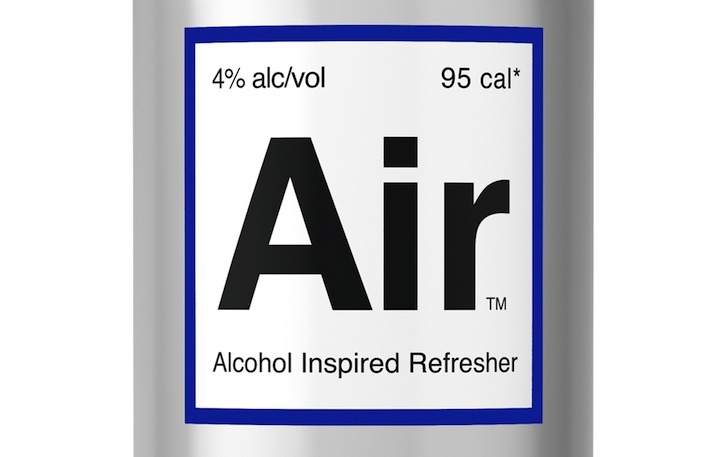 The folks behind Air have done something rather interesting: instead of creating a pre-mix of vodka and soda, they’ve taken fermented malt and put it through a patented process to make it virtually odorless, colorless, and tasteless. Sounds like vodka right? By using fermented malt as their source of alcohol and keeping the ABV at 4%, Air can be sold in grocery and convenience stores right alongside beer. Because Air is in a can, it can go places that bottles can’t go, including in the hands of people at dance and night clubs. Even though Air is technically a malt beverage, the company has gone to great lengths to distance themselves from a category that includes such legendary lowbrow products as Colt 45 and Zima. It’s all pretty inventive, but in the end, you are getting less alcohol per can of Air than you would in your average vodka soda. Vodka is 80 proof, or 40%, so a 2 ounce shot plus 4 ounces of soda water would net you a total of .8 ounce of alcohol or 13% ABV. Air is 4% ABV and a can of Air gives you .48 ounce of alcohol, so it’s a little more than half of what you’d get in a standard vodka soda, and close to what you’d get in a beer. 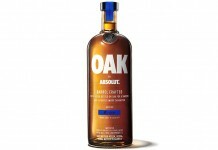 Also the alcohol is different, malt sourced rather than distilled, so the buzz you get is more like a beer than a hard spirit. Air is sold in four packs for a suggested price of $6.99 or just $1.74 per can. It comes in berry, citrus, and club versions (the latter is the closest to club soda). The prime focus of Air is its neutrality – even the flavored versions are very lightly flavored. At 95 calories per can, it’s significantly less than most malt beverages on the market, and even the low calorie beers from the major beer companies. Air is fairly highly carbonated and it’s best chilled, so pouring it over ice greatly enhances the experience. Air has done a fantastic job of masking the malt source of its alcohol. We were only able to detect a slight hint of it in the citrus Air, which was served closer to room temperature. The berry Air which we tried iced cold had no suggestion of malt. Both Air flavors were much more dry than sweet and reminded us more of lightly flavored seltzer water than a sweet malt beverage. Air is launching on the west coast in San Francisco, Las Vegas, Los Angeles, Portland, and Seattle with expansion plans to the rest of the country.